The Institute of Rural History, founded in 2002 in St. Pölten, has become a hub for European rural history. The beginning of our institute dates back to a research project on Austrian agriculture and forestry in the 20th century, which gave a major impetus to found a corresponding institute. Until then, no central platform for research on agricultural history had existed in Austria. Upon application of Ernst Bruckmüller, Professor at the Department of Economic and Social History at the University of Vienna, our institute was founded as the Ludwig Boltzmann Institute of Rural History on 29 April 2002. After having made an agreement of cooperation with the Archive of the Province of Lower Austria, the institute began its work on 1 September 2002, with Ernst Bruckmüller as its director and two further academic staff members. 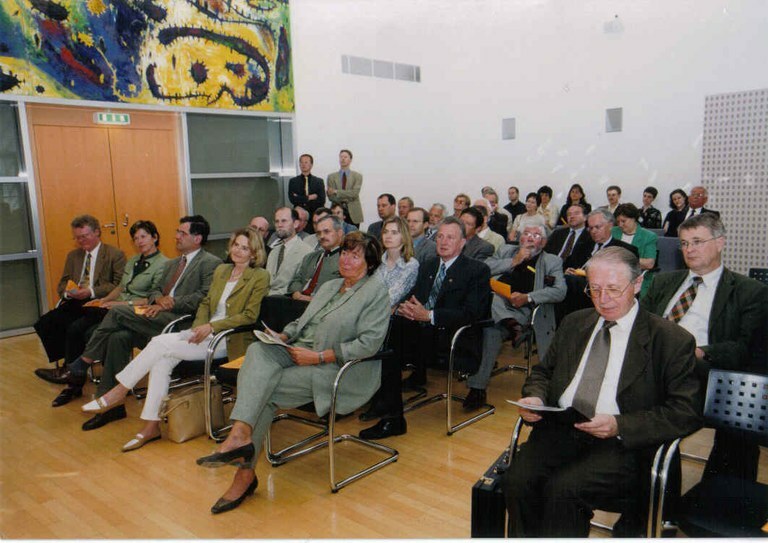 Grand opening of the institute on 6 May 2003 in the presence of the Vice-Governor of the Province of Lower Austria, Liese Prokok (Photograph: NÖ Landesbildstelle). Shortly afterwards, the institute began going public. First, with its regular Rural History Newsletter and in 2004 with the first number of its ongoing publication series: the Yearbook of Rural History. In the same year the institute organized its first international conference and began to cooperate closely with other international research institutes, above all, the research group for agrarian history (Arbeitskreis für Agrargeschichte) in Germany and the archive for agrarian history (Archiv für Agrargeschichte) in Switzerland.In 2006 the institute emancipated itself for the Ludwig Boltzmann network and was newly founded as an autonomous non-profit association and given its current name: the Institute of Rural History. Since then, the provincial government of Lower Austria has become a strong and reliable co-operation partner. The new formation of the institute was followed by a considerable expansion, supported by the acquisition of third-party funding, such as the ÖAW-Apart project in 2005 and a larger FWF-project in 2008. As a result, further staff members and project staff could be employed. Besides research, the institute became increasingly active in organising lectures and workshops as well as publishing. 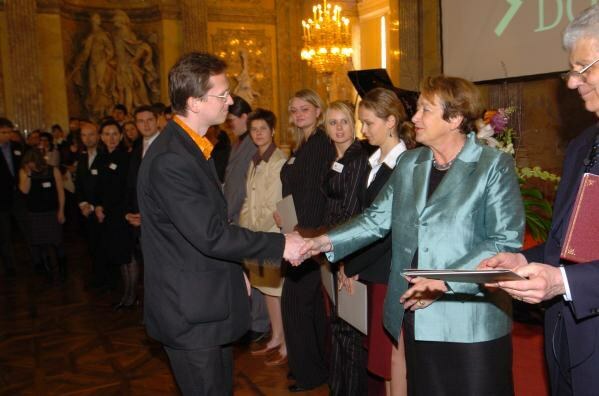 Ernst Langthaler received the APART-Grant of the Austrian Academy of Sciences by the Minister for Education and Science, Elisabeth Gehrer, on 15 April 2005 (Photograph: ÖAW). The network of the institute expanded further beyond the German-speaking countries: A participation at the ESF-COST Programme for the Study of European Rural Societies, regular lectures at the Rural History Network of the European Social Science History Conference (ESSHC) and the attendance of the first European conference Rural History in 2010. We received international recognition when the European Rural History Organisation (EURHO) decided to set up their office at our institute in St. Pölten. Thereby, the institute became a hub for European rural history. 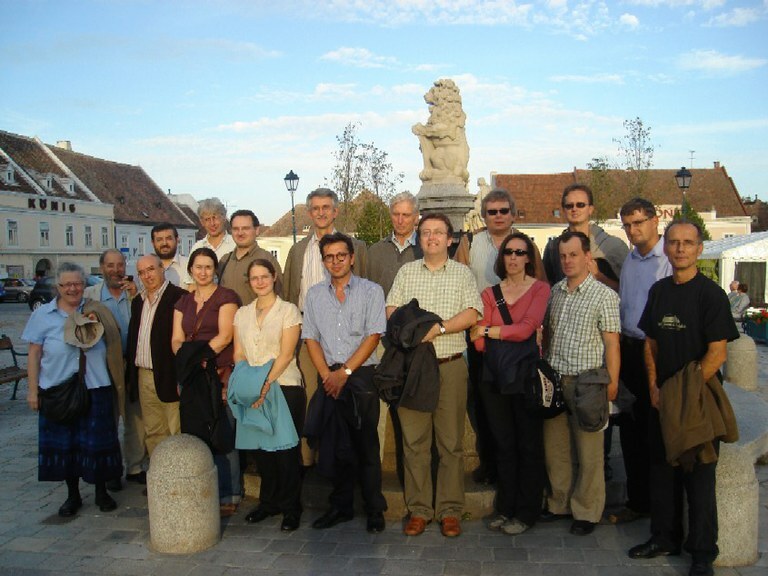 Participants of the international COST-Workshop on Agrosystems and Labour Relations in European Rural Societies (Middle Ages - 20th Century) in Retz, 31 August – 2 September 2006, co-organized by the IGLR (Foto: Ferran Garcia-Oliver). In 2011 Ernst Langthaler became director of the institute, after he had habilitated in Economic and Social History at the University of Vienna. With the founding of the Center for Migration (ZMF) in 2012, the institute grew once more.